Perfect for the rainy season! (SPOT.ph) Sudden downpours can spoil even the most well-planned itinerary in the great outdoors. 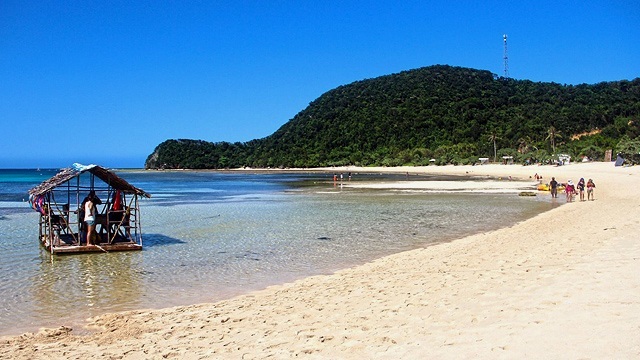 Imagine already packing a week’s worth of bikinis, only to find out that island-hopping activities have been cancelled because of the typhoon and strong waves. Now that the rainy season is upon us, we rounded up a few things you can do indoors—safe from the intermittent weather in the Metro. Aside from white-sand beaches and stunning islands, the Philippines' marine ecosystem is a different kind of beauty and one of the best ways to experience this is through freediving and skin diving. 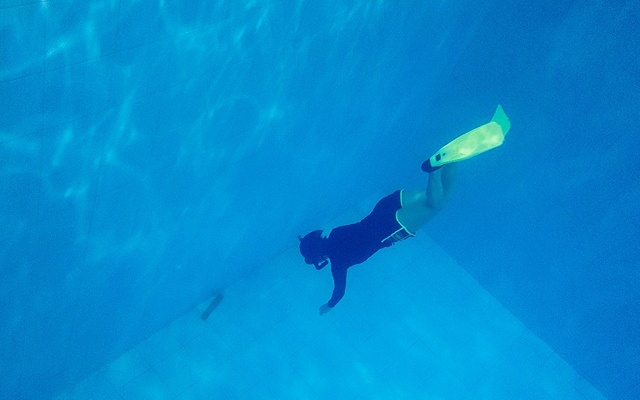 While waiting for the waters to calm down, you can take sessions in the six-meter deep pool at Scuba Studio and get a certification while you're at it. Environmental organization Reef Nomads offers three-hour classes for non-swimmers at P2,000 while ManuMano Freedive Training Center has AIDA-1 certification courses at P4,750. Scuba Studio is at 308 P. Gueverra corner Seaview Street, Sta. Lucia, San Juan City. For more information, follow Reef Nomads and ManuMano on Facebook. 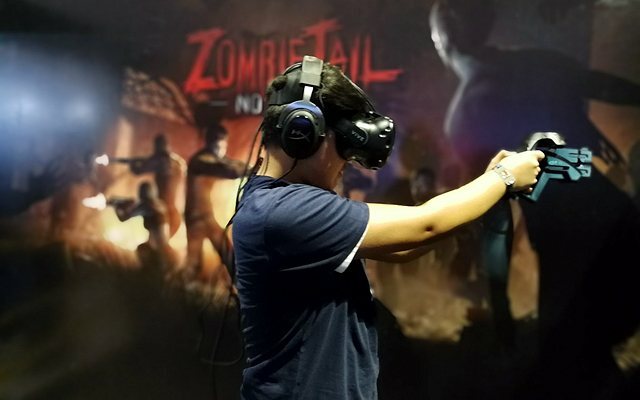 VR+, the country's first virtual reality park in the Philippines, opened its doors and welcomed gamers of all ages in February 2018. It lets you enjoy multiplayer and simulation games that only the imagination can make sense of—from a zombie apocalypse to prison takeovers. You can walk into these amazing worlds just by a virtual reality headset and a shooting equipment to complete the multi-sensory experience. Rates start at P400 per player. VR+ is at 2/F S Maison, Conrad Manila, SM Mall of Asia Complex, Pasay City. It is open from Sunday to Thursday, 10 a.m. to 10 p.m.; and Friday to Saturday, 10 a.m. to 11 p.m. For more information, follow VR+ PH on Facebook. 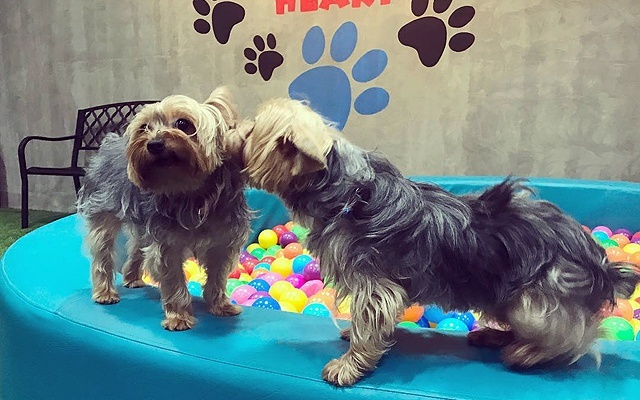 Your pups will thank you after a whole day of fun at Bark Central, an indoor dog park in Eastwood City. It features a ball pit and agility courses where your furbabies can burn off their energy or make new doggo friends. You can even grab a bite at their in-house café and bistro while your pet's at the grooming station. Dog park rates start at P400 for one hour. Bark Central is at 4/F Eastwood Mall, Eastwood City. It is open daily from 11 a.m. to 10 p.m. For more information, visit Bark Central's website. 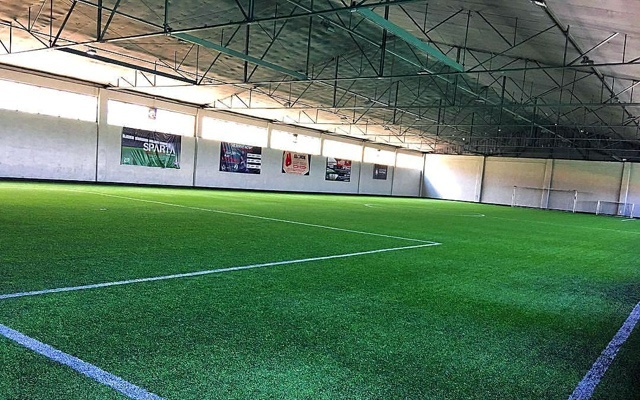 Sparta Philippines is the home of the first and only FIFA-certified indoor football field in the country. It lets you play a game or two with your team any time of the day, rain or shine. You can reserve the whole venue, complete with LED lighting, for at least P2,000/hour. It also has a Calisthenics Academy where you can sign up for various kinds of martial arts training or workout sessions. Sparta Philippines is at 126 Pioneer Street, Mandaluyong City. It is open for reservations 24/7. For more information, visit Sparta's website. Pole dancing, a type of performance art, has elevated its way out of gentleman's club and into fitness studios and dance companies. 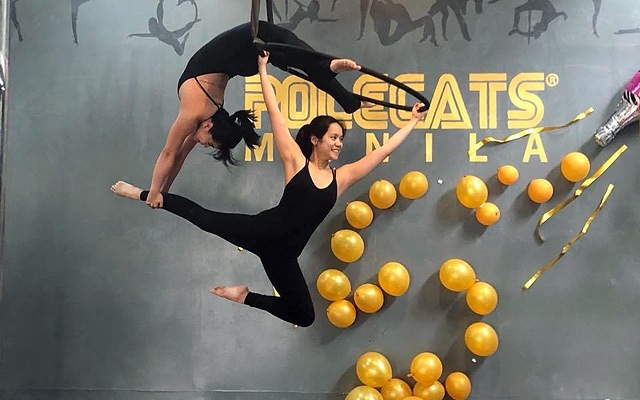 You can master this art yourself with Polecats Manila, an aerial and pole fitness studio established in 2009. Aside from sliding down a pole while doing graceful stunts, you can also learn how to dance while hanging from a long cloth or a hoop. It makes a great workout session, too! First-timers can sign up for a week of unlimited classes at P1,000. 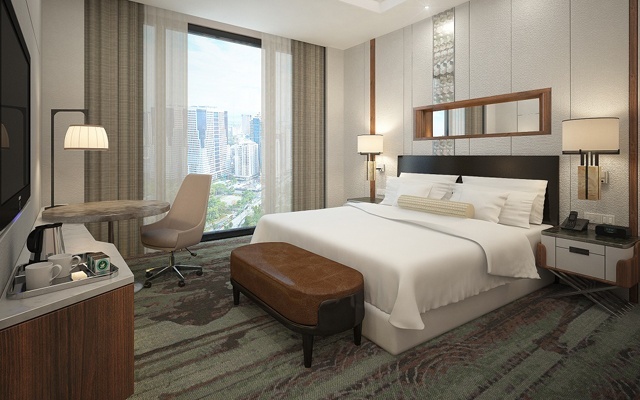 Polecats Manila is at 22/F Strata 100, F. Ortigas Avenue, Ortigas Center, Pasig. Class schedule varies. For more information, visit Polecats Manila's website. Hiking in Quezon and Rizal can be a whole lot of fun (and thrilling) but not when it's raining and the terrain's totally unsafe. 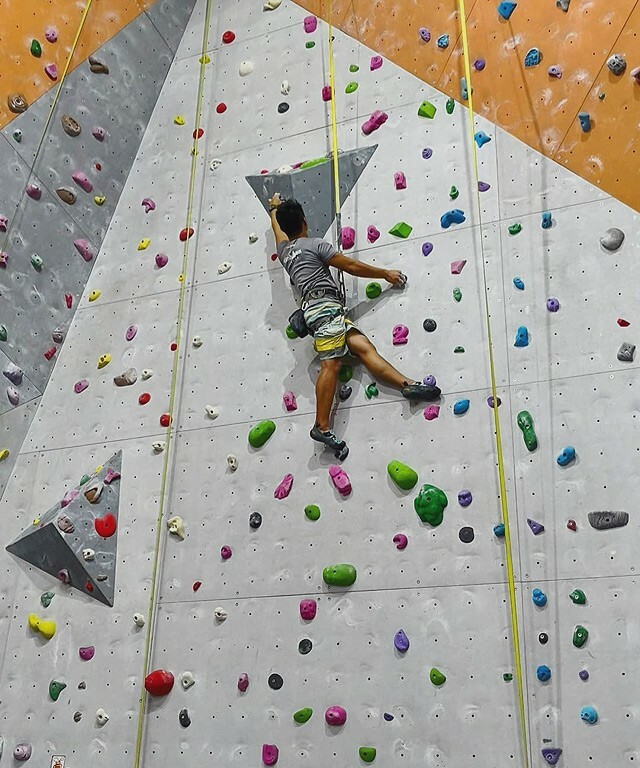 At Climb Central Manila—the biggest air-conditioned sport climbing venue in the country, any weather is perfect for a day of wall climbing. It has approximately 750 square meters of climbing wall space, so you don't have to worry about repeating a trail every time you go there. Rates start at P600, inclusive of a day pass and equipment set. Climb Central is at The Portal, Mayflower Street, Greenfield District, Mandaluyong City. It is open from Monday to Friday, 1 p.m. to 10 p.m.; Saturday to Sunday, 10 a.m. to 10 p.m. For more information, visit Climb Central's website. Been wanting to jump (and jump and jump) without anyone judging? 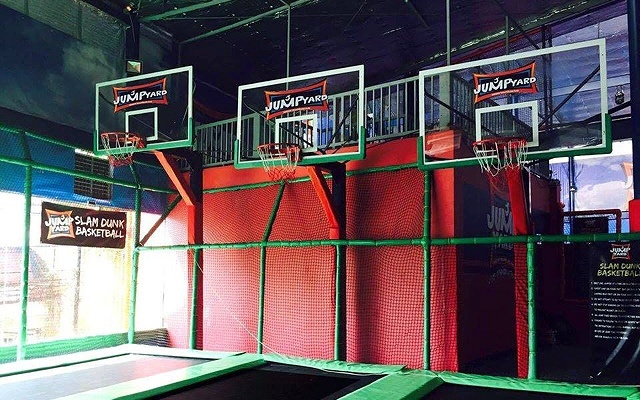 Jump Yard, the Philippines' first and largest indoor trampoline park, lets you play dodge ball or a game of basketball while springing up and down. You can even swing from one monkey bag to another or cross on a balance beam with the peace of mind that you can just dive into the foam pit anytime. Weekday rates are at P250/hour while weekend rates are at P350/hour. Jump Yard is at Frontera Verde Complex, Ortigas Avenue corner C-5, Pasig City. It is open from Monday to Thursday, 12 p.m. to 8:30 p.m.; Friday, from 12 p.m. to 9:30 p.m.; and Saturday to Sunday, from 9 a.m. to 9:30 p.m. For more information, visit Jump Yard's website. What if your only way to escape the room you're in is by solving a series of puzzles in 60 seconds—will you survive without going on a screaming match with your friends (or boyfriend/girlfriend)? 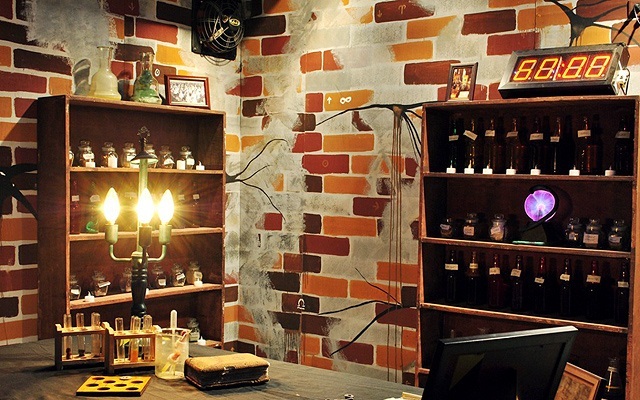 Mystery Manila lets you find out if you have what it takes to solve mysterious incidents through its series of escape rooms such as the Mutants' Mission where you have to stop an all-powerful mutant to destroy the world, Murder in the Mafia where you have to investigate a murder, and School of Sorcery where you can unleash your great potential for magic. Rates start at P500 per head for two, so make sure that you tag along someone who won't hate you if you fail to crack the case. Mystery Manila has branches at Century City Mall, Kalayaan Avenue, Makati City; Citywalk, Eastwood City, E. Rodriguez Avenue, Quezon City; G.A. Yupangco Building, Jupiter Street, Makati City; and Ayala Malls The 30th, Meralco Avenue, Ortigas Center, Pasig City. For more information, visit Mystery Manila's website. 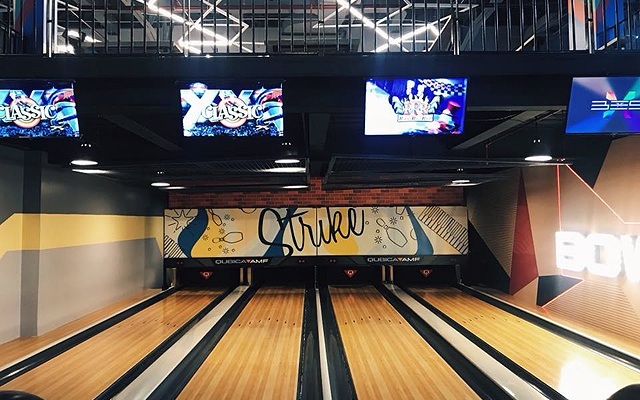 Timezone may be old news, but its newest branch on the fifth floor of Ayala Malls Feliz will make you relive your childhood days. 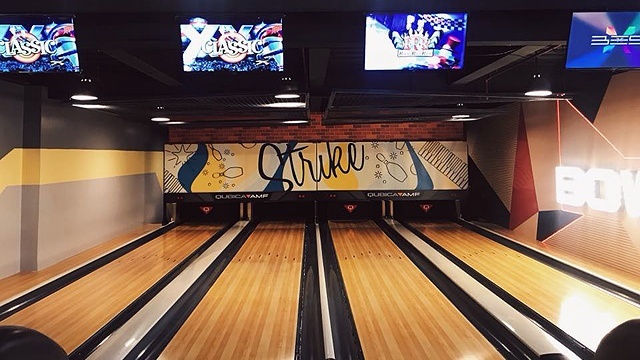 It houses a number of arcade games and kiddie rides, as well as a trampoline park, a bowling alley, a four-storey playground for kids, and a huge karaoke room. You may or may not leave behind the little ones at home. Timezone is at 5/F Ayala Malls Feliz, Marcos Highway, Pasig City. For more information, follow Timezone Philippines on Facebook. 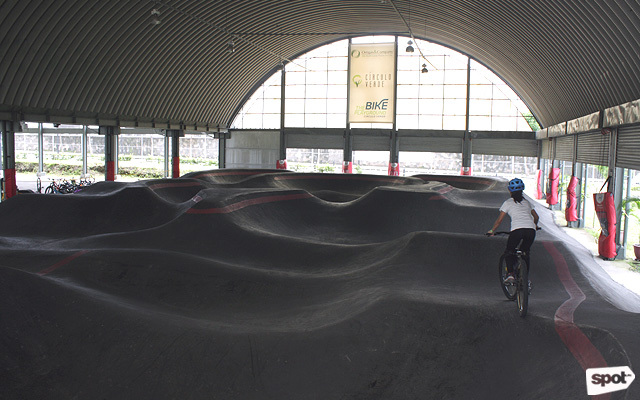 Circulo Verde is one of the most bike-friendly neighborhoods in the Metro, but what makes it a favorite among mountain bike riders is its indoor pump park—the first of its kind in the country. Practice your bunnyhops and wall rides during the day for P65 (day rate, 7 a.m. to 5 p.m.) or even after work for P90 (night rate, 5 p.m. to 8 p.m.). Adult bikes can be rented for P500 (two hours) while helmets—which are required at The Bike Playground—cost P100. The Bike Playground is at Circulo Verde, Calle Industria, Bagumbayan, Quezon City. It is open daily from 7 a.m. to 8 p.m. For more information, visit The Bike Playground's website.